The home renovation of Bob Williams from Traditional Home is really great, although I am especially drawn to the kitchen. 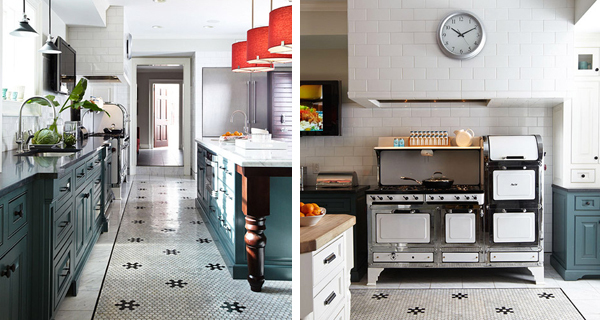 The floor and pops of unexpected color and materials are wonderful -- and that stove, yes please! Gorgeous - those floor tiles are fantastic - a lot of work has gone into this. That stove is so cool! Great pictures! Gorgeous kitchen design and I so agree with you on the stove... definitely added to my "someday" wish list! Stunning kitchen, I love the tiles on the floor.